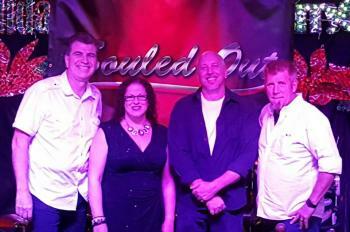 Souled Out is a 4-piece good-time music group from Melbourne, FL. Our specialty is R & B / Soul / Funk from the 60's 70's 80's and 90's. We'd like to invite you to come out and see us do our thing. Dance, mingle, have fun & enjoy the music. Most of the players in Souled Out have lived in the Florida Space Coast area for some time, played in various rock, country and pop projects. The four of us share the goal to bring an alternative set to this area, a tasty offering of the soulful music you grew up with and still enjoy. Hey, your kids (if you have any) might like us! 9:30 PM - 1:30 AM Turning Up The Heat! 9:30 PM - 1:30 AM Bumpin' All Night At Lou's! 9:30 PM - 1:30 AM Shake Your Body Down! !